Vision In Form Architecture (previously Michael Boreskie Architect Inc.) offers more than 30 years of programming, planning, design and construction review experience. 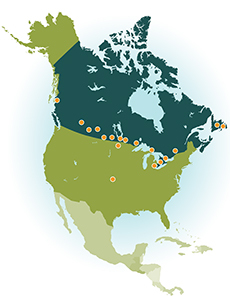 We have assisted owners from Grand Falls, Newfoundland, to Prince Rupert, British Columbia, to Dodge City, Kansas. expertise in leveraging data from BIM models to evaluate the energy consumption/energy conservation of different design strategies, and the annual energy supply costs and carbon footprint for proposed buildings.